All our Fly Screens are made to measure. Call us for professional advice on the ultimate ideas to maximize the potential of your home. Fly Screens and fly doors are made using a superior quality product that is strong and reliable when keeping creepy crawlies out. 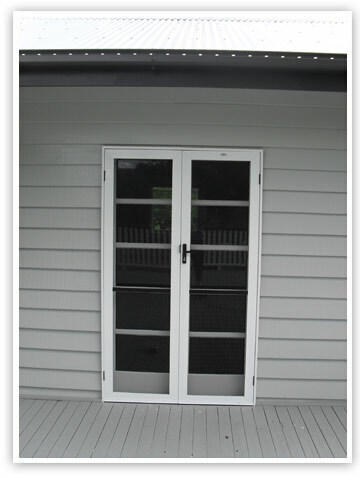 Fly screen frames come standard using an extruded aluminium frame. Choose from a range of gauze such as fibreglass mesh, micro mesh and pet mesh. Aluminium fly mesh and stainless steel fly mesh are available for the new council rated fire zones. The range of colours available will ensure that your fly screen frames and window frames match to complete the look of your home.